At GM, Kevin Mayer had a lead role in planning Chevrolet's Super Bowl advertising and last year's launch of the Chevy Sonic subcompact. Volkswagen of America, riding a 38 percent increase in U.S. sales this year, has hired Kevin Mayer from General Motors to steer VW brand marketing. 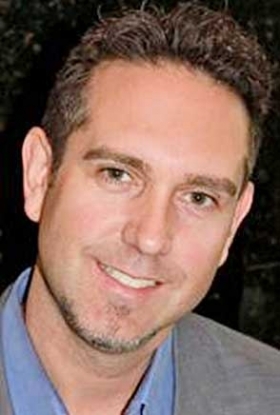 Mayer, 42, has been director of advertising and sales promotion for Chevrolet since 2010. He will join VW as a vice president on June 6, filling a position that's been open since the departure of Tim Ellis in June a year earlier. Mayer will report to Tim Mahoney, VW of America's chief product and marketing officer. "Kevin's results-oriented approach to brand management, his leadership skills, industry relationships, as well as his success in developing comprehensive brand building, will be important assets as we prepare for continued growth and momentum in the market," Mahoney said in a statement today. At GM, Mayer had a lead role in planning Chevrolet's Super Bowl advertising and last year's launch of the Chevy Sonic subcompact, which made heavy use of the Web and social media. He also helped develop an ongoing national campaign called "Under the Blue Arch." It features the antics of the sales staff at a fictional Chevy dealership. Prior to joining GM, Mayer was director of marketing communications at Subaru of America. He's also held marketing and advertising roles at Hyundai, Mitsubishi, and Colby & Partners. Earlier this month, Mark Barnes, VW's vice president of customer experience, left for GM to take the top sales executive post in charge of China and other overseas markets. VW has since named company veteran Robert Martell, 54, to that position. VW's U.S. sales last year rose 26 percent to 324,402 vehicles while the total U.S. market grew 10 percent. This year's 38 percent increase through April has also come in a market that's up 10 percent. "We are excited to welcome Kevin to the Volkswagen management team," said Mahoney. "Kevin's results-oriented approach to brand management, his leadership skills, industry relationships, as well as his success in developing comprehensive brand building, will be important assets as we prepare for continued growth and momentum in the market." Mayer comes to the Volkswagen brand from General Motors Corporation in Detroit, MI, where he served as Director of Advertising and Sales Promotion for the Chevrolet Division. Prior to his General Motors appointment, Mayer held marketing and advertising roles in with Subaru, Colby & Partners, Mitsubishi Motors and Hyundai of America. He earned an undergraduate degree in Communications from Purdue University and an MBA in Marketing and Marketing Science from the Anderson School at UCLA.